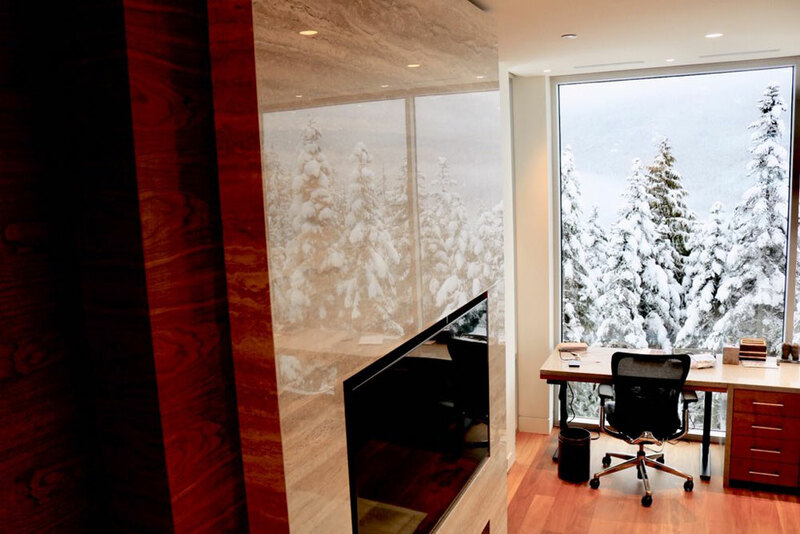 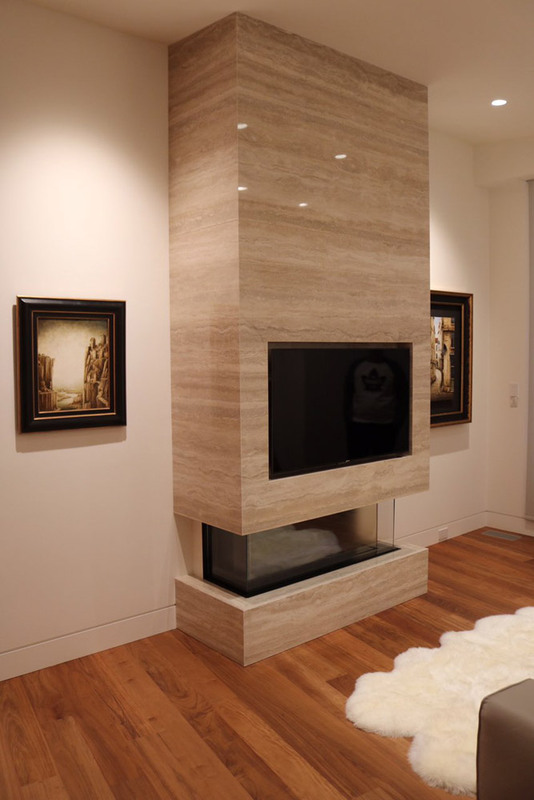 This beautiful Whistler fireplace installation used our 6mm porcelain slabs. 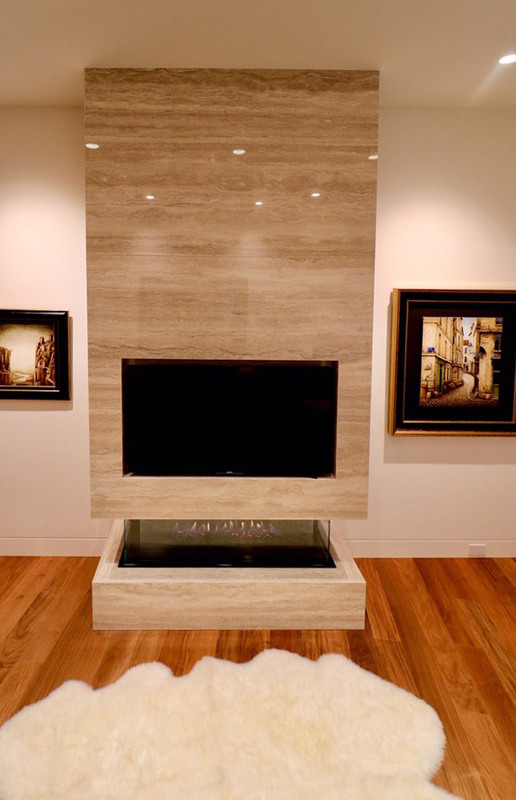 Our porcelain slabs emulate natural stone to the finest detail, making a fine alternative when natural stone is not a feasible solution. 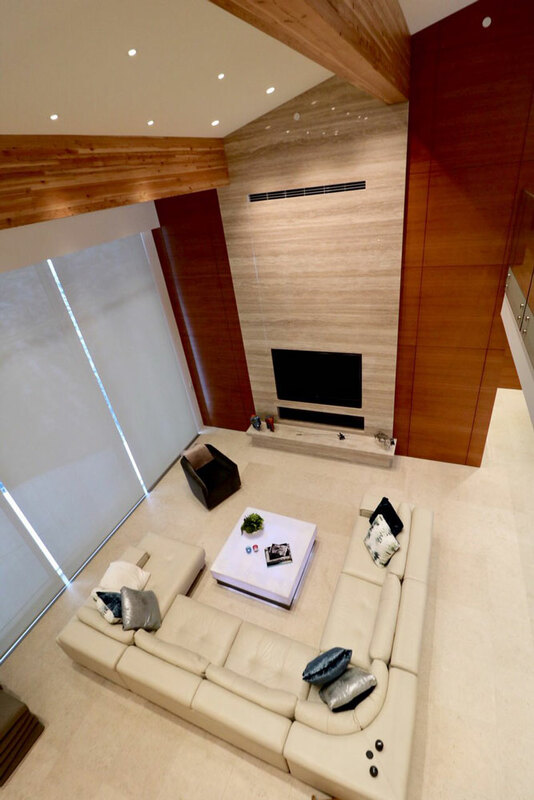 See Margranite’s current collection of 6mm and 12mm porcelain slabs.